Quick Response codes or “QR codes” have been around since 1994. Until recently they have been used mostly for industrial applications. Their usefulness in marketing is starting to be understood and applied exponentially. The marketing potential of QR codes lies in the fact that they are an open source, free to generate and have hyperlinking capability. You can generate and print your own QR codes for free by visiting one of several sites that generate QR codes. 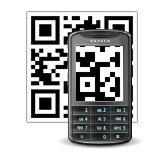 QR codes can connect a person equipped with a smart phone and the right reader software to email, IM, SMS, a web site, or a wireless phone number. You can now see them on in-store displays, business cards, event ticketing, print ads, contests, direct marketing campaigns, coupons, restaurant menus, point-of-sale receipts, products packaging, and the list grows. 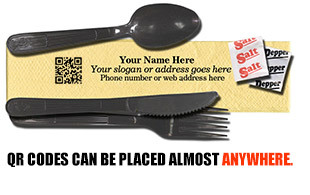 QR codes can grow your business in countless ways . . .
QR codes can be easily added to offline media: magazines, business cards, flyers, brochures, posters, coupons and film. At the very moment when prospects are exposed to your message, they can scan the QR code and get connected to your offer, call to action or web site. You can use an app called Likify to create PR codes that connect you with a Like button for your Facebook page. You can also create discounts that are specific to the QR code, and run them in advertisements or post them in a store, and turn them into retweets so that people share them with their followers. All this helps you build community. You can link the codes to videos, stories about a product, launching a web site, launching a pre-filled tweet, watching a trailer, audio commentaries. You can send a text message with a promo code to get a discount. 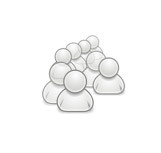 Or you can have “Call us” and “Email us” messages, where people scan the code and automatically call or email. Also, since the QR code can lead to a web page, you can, if your platform allows you, create a code that will populate the cart with specific products. You can also link the QR code to a landing page where people exchange their contact information for a treat, or a discount. The power of inbound marketing is that you can accurately assess the marketing cost of sales. With QR codes, you can measure results based on clicks and leads.